For most Americans, renewing a driver’s license is a pain. Last year, when I renewed mine, I had to make at least 2 different trips to the Department of Motor Vehicles. The first time I forgot to bring along an official document showing my new residential address; the second time I didn’t have the correct amount of cash. Each time I endured a long wait, one of which was more than two hours. It’s pure torture to sit in such a place with three children, who eagerly begged to join me for the adventure of seeing their mom get a new driver’s license photo, but soon grew bored with sitting on uncomfortable chairs with nothing to do. I’m so glad I don’t have to deal with this dreaded task again for another four years! My 90 year old grandfather, whom my family affectionately calls Papaw, lives with my parents. Papaw has not retired from working a regular job. In fact, he gets up to go to his real estate office five days a week, rain or shine. He is active in church activities, including attending two Sunday worship services, Wednesday night prayer meeting and regular deacon’s meetings. And, despite the concerns of his children and grandchildren, Papaw continues to drive himself to all of these activities. Papaw’s mind is sharp. Intellectually, he is still fully functioning, engaged with family and friends. Physically, however, age is catching up to his body. His knees are weak, and now he must walk with a walker in order to maintain his balance. 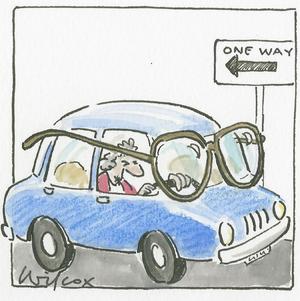 In the past few months, he has suffered a series of small strokes behind his eyes, resulting in vision that is not nearly as sharp as it should be in order to safely drive. In recent years, my dad has begun to drive my grandfather to most places he needs to go outside of the rural community in which they live. Several times each week, my father takes his father to one of his many dr. appointments or to attend to business. It makes everyone in our family feel reassured knowing that Papaw is not navigating in fast or heavy traffic. And yet, Papaw sees no reason he can’t drive himself to work or church and back home. 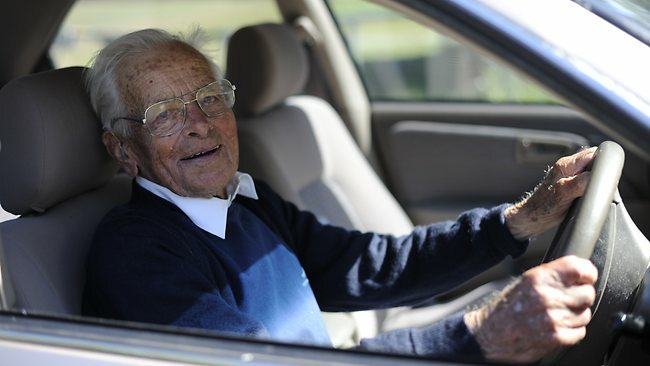 The way he sees it, both places are less than a mile from his home, along the same two-laned road he’s been traversing for the past 75 years. There are no red lights or stop signs. The route is not tricky. Yet, the question we find ourselves asking is, considering his age and physical condition, it really safe for him to be driving? But, trust me, there is no one in my family who wants to be the one to try to take the cars keys (and independence) from my grandfather. So earlier this week, my dad took Papaw to the small DMV in the north Louisiana parish where they live. He watched in astonishment as my grandfather took the eye exam and answered the questions (all truthfully), and received a brand-new driver’s license, good for the next four years. This morning I woke up thinking about my grandfather’s driving and his recently renewed license. Based on the shocking outcome of the situation, I have two somewhat unrelated thoughts. First, I am reminded in life that the unexpected often happens. If you are like me, you have experienced situations in which you have predicted a particular outcome with relative certainty, only to be shocked with an unexpected end result. I’m grateful to know despite my own shock and surprise in such circumstances, God was not taken aback by the way the events unfolded. What a comfort to know when life hands me or someone I love a deal I wasn’t anticipating, God already has it under His perfect control. Secondly, please allow me to give you a word of caution. If at any time in the next four years you ever happen to find yourself driving along Louisiana Hwy 8 in rural Catahoula Parish, keep your eyes peeled for a grey Cadillac. If you should see one heading your way, pull over until it passes you by for it’s likely to be Papaw … and I can’t guarantee he will see you coming! Wow – your Pawpaw is amazing! I hope I’m still that “with it” when I hit my nineties! I know how you feel as when my husband’s father became ‘shall I say’ less than a proficient driver… we contemplated the same thing but didn’t have to because he shortly thereafter us thinking about it… he was unable to for health reasons.